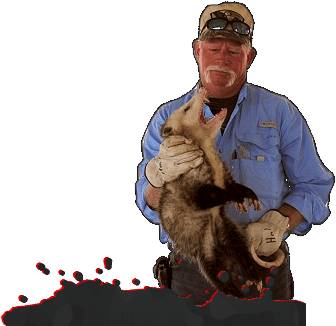 Whether you have a single pesky opossum or a family of raccoons occupying your home or business, Animal Control-Wildlife, Inc. has you covered. Providing the Galveston and Houston metropolitan area with exceptional animal control services is our goal. To meet this goal, we specialize in humanely capturing a wide variety of nuisance animals for both commercial and residential clients. Our services are guaranteed – If we don’t trap it, you don’t pay! 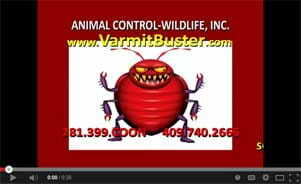 Animal Control-Wildlife can also assist with your insect control needs. We can help with ant, roach, bee, and silverfish problems. If you have an animal or pest problem at your home or business, contact us today!